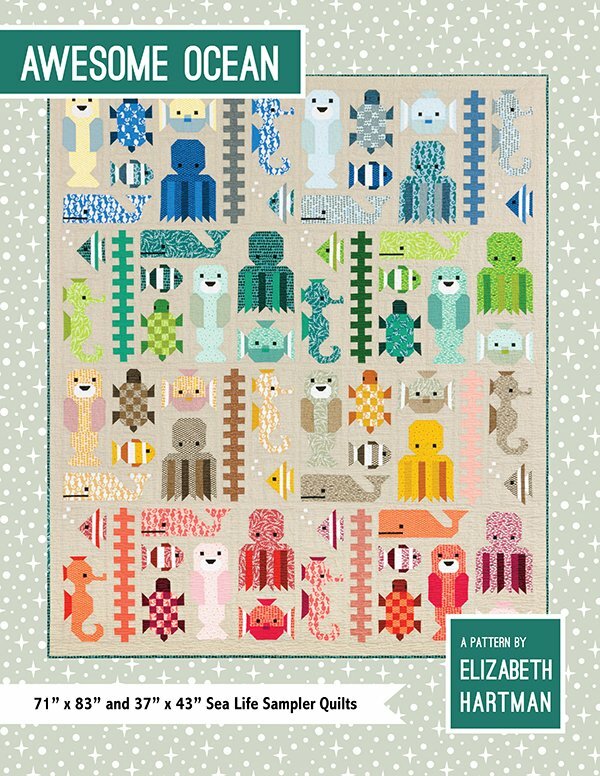 Awesome Ocean Pattern by Elizabeth Hartman. The Awesome Ocean sea life sampler quilt features 8 brand-new blocks: Salty Seahorse, Octavian, Angelica, Tony the Turtle, Chuckles, Puffy, Mr. Manatee, and Kelp, as well as the popular Preppy the Whale. All blocks are sewn with simple straight and diagonal seams. Finished sizes 71" x 83" and 37" x 43".